The list of places recognized as UNESCO World Heritage Sites can also serve as an excellent travel guide. Every year, this UN branch makes it easier for travelers to prioritize what to explore on their trips. Because let’s face it, sometimes even the most experienced travelers get on airplanes with lists that are way too long. In 2019, there is no shortage of places to visit, but these suggestions will hopefully provide some insight into the most spectacular sites. A 2018 addition to the World Heritage Sites, Göbekli Tepe stands as the oldest temple in the world. Archaeologists estimate that it was built in 9,000 B.C.E. What remains today are large and uneven limestone pillars decorated with abstract designs of carved animals. So far, representations of snakes, scorpions, birds, wild boars, foxes and wolves have been deciphered. Along with La Sagrada Familia, Park Güell is another popular attraction in the always fun Barcelona. If you haven’t seen this public park yet, be sure to go during 2019. Park Güell is full of stone structures, fantastic mosaics and amazing buildings. The dragon fountain near the entrance is worth the trip alone. Often mistaken for a palace, the Taj Mahal is actually a mausoleum built between 1632 and 1653 in the city of Agra. It sits on the banks of the Yamuna river, and was commissioned by the Muslim emperor Shah Jahan of the Mughal dynasty. The imposing set of buildings was built in honor of his favorite wife, who died delivering her fourteenth child. It is estimated that its construction required the effort of 20,000 workers under the direction of a group of architects. This French municipality is on a rocky island that has fewer than 100 inhabitants. For many, it is the most impressive heritage site in Europe. 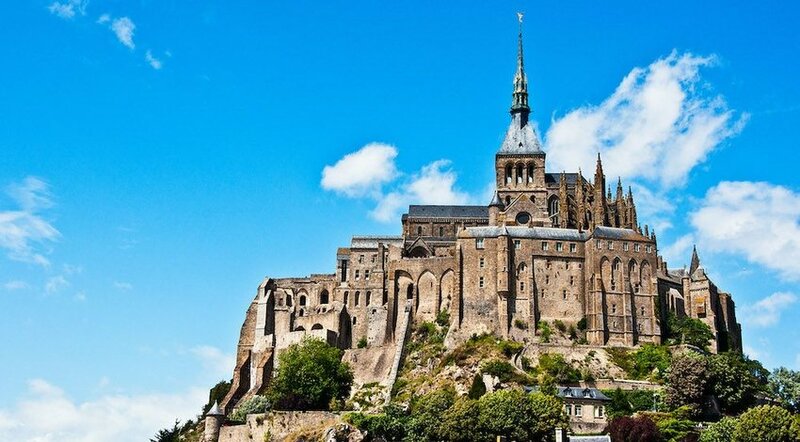 Located at the mouth of the Couesnon River, Mont Saint-Michel looks like a floating miracle waiting to receive visitors. Make sure you have a good camera to capture the beautiful sunsets. 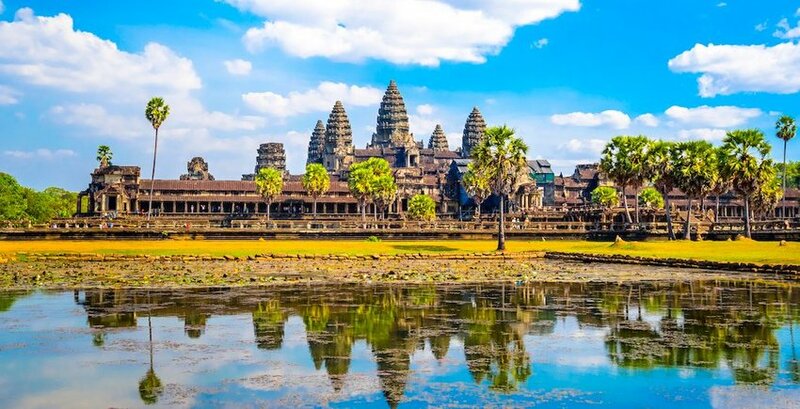 Cambodia is filled with places to visit, and UNESCO chose to highlight Angkor Wat, an enormous temple. It’s considered the largest religious structure ever built, as well as one of the most important archaeological treasures in the world. While it was first meant to be a Hindu temple dedicated to the god Vishnu, it became a Buddhist temple at the end of the 12th century. 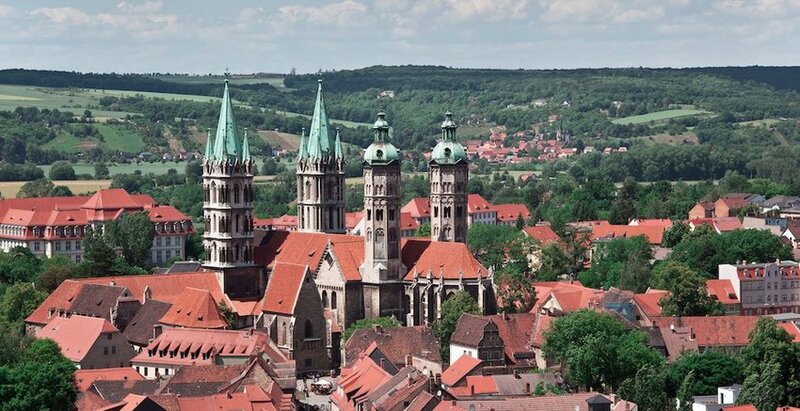 Another new addition to the UNESCO Heritage Sites, the Naumburg Cathedral stands out because of its late Romanesque and Gothic architectural styles. Visitors will most definitely be impressed by the twelve life-size sculptures of the founders of the cathedral in the western presbytery. 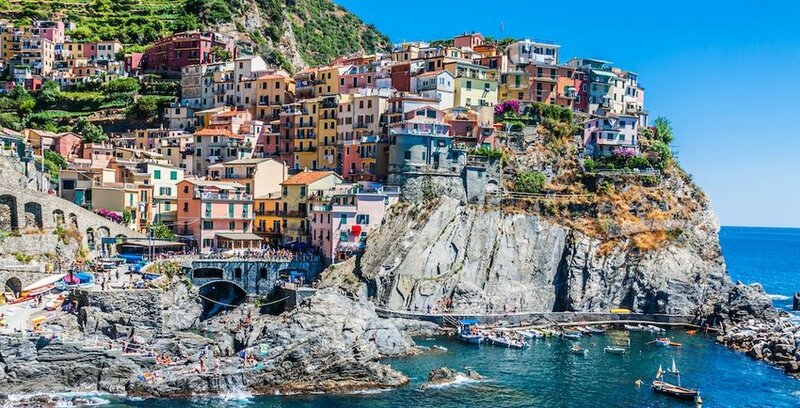 The five villages that form Cinque Terre are located on the Ligurian coast and were declared a World Heritage Site in 1997. The rugged terrain of this area provides postcard-worthy landscapes, which include colorful cottages that seem to have been carved onto the hills. 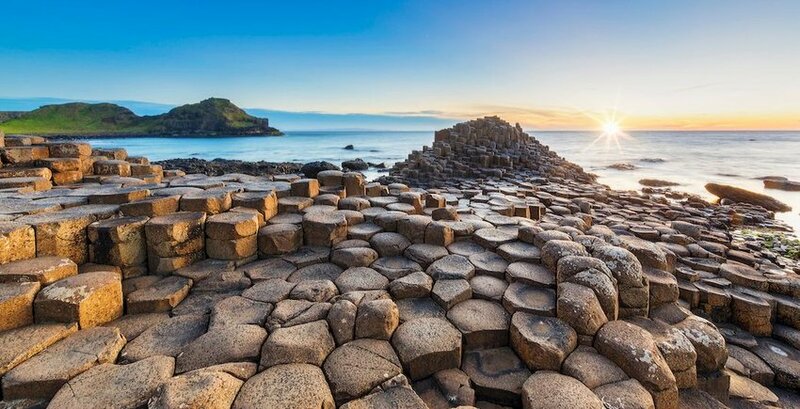 This unique rock formation is located on one of the most impressive European coasts, and is also a landmark in Northern Ireland. Giant’s Causeway has served as a natural barrier against the fierce storms of the Atlantic for millions of years. According to scientists, this is the result of an ancient volcanic eruption, but locals have their own set of myths to explain this phenomenon with some more color and folklore. The former capital of the Russian Empire is not only very important in world history, it is also one of the most beautiful cities in the massive country. 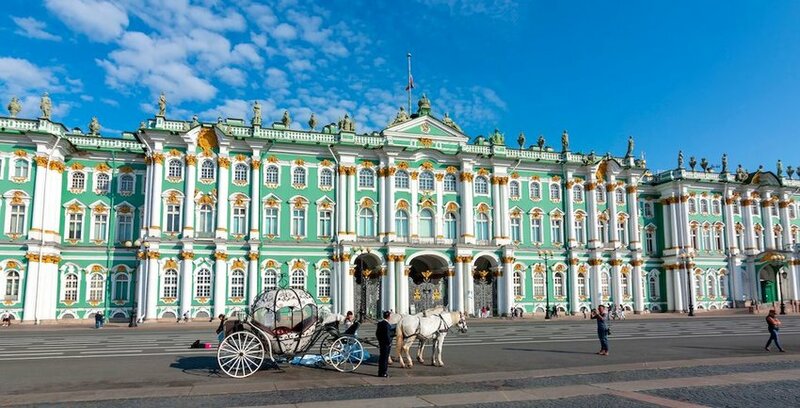 Two sites that best represent Saint Petersburg’s grandiosity are the Winter Palace and the Hermitage Museum. Visitors will be sure to realize why “Russia’s window to the West” is synonymous with sophistication, art and culture. Topping this list is a 2018 addition to the UNESCO World Heritage sites. 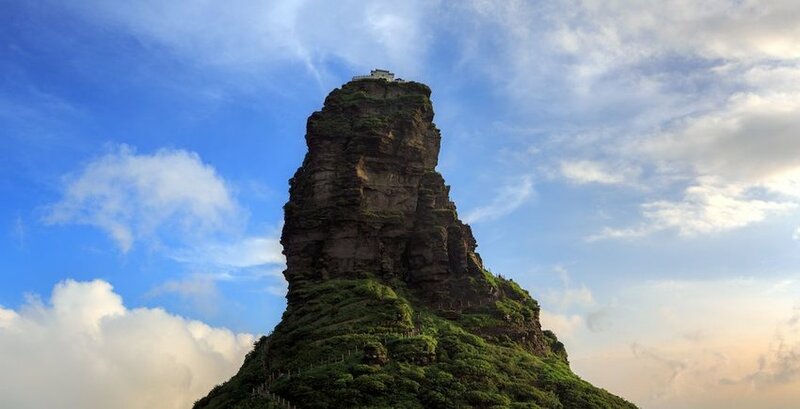 Fanjingshan is the tallest peak in China’s lush Wuling Mountains. It is 8,430 feet high and, given its pointy top, resembles a finger when seen from afar. Fanjingshan is a sacred space for Buddhists and home to very rich biodiversity. In fact, there are 19 threatened animal species roaming around, such as the grey snub-nosed monkey.